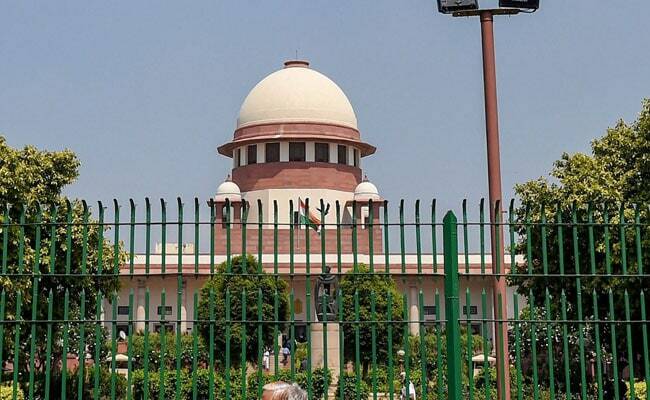 Taking strong exception to two prime properties including a five-star hotel of the embattled Amrapali Group finding no bidders, the Supreme Court on Monday said that prima facie it looks like "cartelisation is at work" and sought to know whether "banks are part of cartels". The top court said that it is "shocking and disturbing" that bankers are not coming forward to finance the properties. The top court said that banks are ready to finance projects for National Building Construction Corporation (NBCC) but they are not coming forward to finance the Amrapali properties being sold by Debt Recovery Tribunal (DRT) in an auction. A five-star hotel "Amrapali Holiday Inn Tech Park" constructed in Greater Noida and prime land in Vrindavan in Uttar Pradesh were put up for auction on January 31 by the DRT but no bidder had come forward to bid. "It seems there is a systematic effort that properties go unsold, as no bids have come forward in the auction. Involvement of unforeseen hands cannot be ruled out. Prime facie it appears that cartelisation is at work. Are the banks part of the cartel? ", the bench said. The court allowed the NBCC to issue advertisement for the unsold flats of two Amrapali Projects -- Eden Park and Castle -- being constructed by it so as funds could be raised. It said that interests of the homebuyers is at receiving ends as they are the ultimate sufferers. The bench said that it cannot leave the situation like this and if necessary it can pass necessary orders. The court appointed forensic auditor Pawan Kumar Aggarwal told the bench that he identified 5,229 unsold flats from where around Rs. 6,000 crore could be raised by selling them. A five-star hotel "Amrapali Holiday Inn Tech Park" constructed in Greater Noida and prime land in Vrindavan in Uttar Pradesh were put up for auction. In The USA one can buy properties owned by bank, government, Insurance and finance companies. This preserves the localities from Blyth, delinquent taxes, and allows public affordable houses. It also reduces the NPA of banks. Common people can buy and rehabilitate their properties. I am not sure how it works in India. In one city the housing board did not approve the buyer, the buyer went to court, the house has dilapidated, with overgrown vegetation and is an eyesore, but nothing seems to happen. And there is no solution in site. Similarly, in Gurugram and all over India unfinished building are decaying, but banks or the bankrupt corporation are not selling them. There has to be a solution, banks must be forced to liquidate their NPA in a reasonable time and must be forced to pay for the upkeep of properties they own.